Lost in an endless search for the perfect sleeper sofa? Comprised below are the top 10 sleeper sofas: one to fit every criteria and budget. 1. The IKEA Solsta offers the most bang for your buck. Available on the market for under $200, this adorable sleeper sofa screams bargain while still offering the desired functionality. Its neutral design will flow with the décor in any room. 2. If you desire a bold and rich piece of furniture to compliment your home, consider the stunning design of the Canyon Ridge Microfiber Queen Sleeper Sofa. 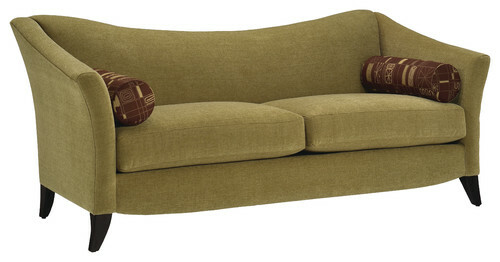 With rolled arms and studded trim, this is a popular choice amongst those searching for a gorgeous sleeper sofa. 3. Not much square footage to spare? The Lazar Industries offers a compact sleeper sofa chair, the Darby Paragon Sleeper. Measuring 42”x35”x37” when folded up, it can be tucked into any corner when not in use. The mattress extends to 84” when unfolded – long enough for a full grown adult when in use. 4. The most customizable of the sofa sleepers is the Rylee 2 Piece Sectional Sofa. One section folds out into a full bed, while the chaise provides ample sleeping space for an additional person. As with all sectionals, the components can be separated for optimal arrangement opportunities. 5. For those wishing to add a splash of color to a room’s décor, check out the Sleeper Possibilities Dome-Arm Queen Sofa. Available in 28 colors with coordinating accent pillows, this attractive sofa sleeper has a color to brighten any room. 6. A durable sofa sleeper that will hold up to years of use would be the Pearce Upholstered Deluxe Sleeper Sofa, hands down. Solid framing and quality materials will earn this piece of furniture a forever spot in your home. 7. If you’re in search of the Cadillac of sleeper sofas, test out the Makayla from American Leather, which is available in King size. Plush cushions and genuine leather complete the grandeur of this beauty. 8. Sometimes the need for a portable sleeper sofa arises. The Intex Inflatable Pull-Out Sofa offers just that. Perfect for camping trips, or when you need to bounce that additional sleeping surface from room to room. 9. Need to break away from the basic lines, fabrics, and neutral colors of standard sofa sleepers? The Prague II in Reaction Gecko rocks an eclectic feel with its concave back and angled wooden legs. It will surely add zest to your living space. 10. Let’s not forget about the kids! Kids’ sofa sleepers are great for sleepovers and double as additional seating for those casual afterschool hangouts. The Totally Tween Sofa Sleeper is available in different bright colors and funky patterns: the perfect accent to a teen’s bedroom.